Planning a hen weekend is an exciting journey that will lead to the romantic destination of a marriage. However, it can be a stressful experience. You must arrange all the activities, manage a large group of guests and will always have an endless list of things to do. Organising a successful one is therefore a challenge. At the Hen Fairy, we know you deserve pure bliss and the finest celebrations. That is why we are dedicated to making your hen weekend completely stress free and utterly unforgettable. We’ll help you organise your party each step of the way and have made it our job to create the best packages. Our packages are not only tailor made for the brides desires, they are also guaranteed to be hassle free. 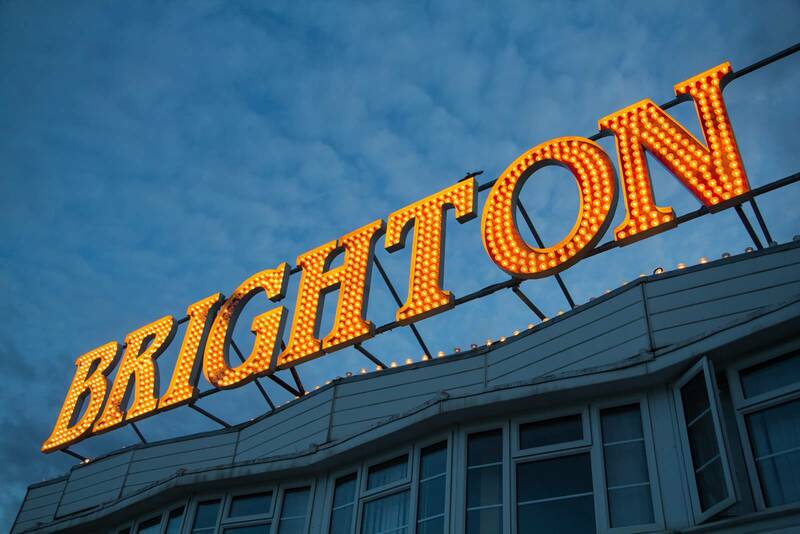 Our HQ is based in the vibrant and colourful city of Brighton. So we know why it is the perfect place to have your hen weekend. Brighton’s cosmopolitan vibes and lively atmosphere to party makes it a city renowned for hen dos and ideal to host yours. We have the best nightlife in the South, a thriving seaside resort and plenty of choice of activities. All which will wow the bride-to-be. The city where ‘anything goes’ truly is the ultimate destination to chill out on the coast, and will charm you all year round. We know and love Brighton, so we know you will too! With our professional expertise, we have hand picked experiences that display the best of the coastal city and as a local company, many of our activities have been tried and tested. We ensure the highest customer satisfaction and our team work diligently to provide you with a first class service. Our variety of activities assures that all types of brides will be pleased. Whilst our packages makes it easy for you to arrange a luxuriating weekend. We have also built-up extensive relationships with local businesses to allow us to give you access to the best-hidden gems that Brighton has to offer, as well as unbeatable prices. So let the hard work be on us! Whilst we provide you with an extra special, seamless service to ensure the bride-to-be has a truly memorable send-off. Dan Harley, the director of The Hen Fairy, has over 7 years of experience in the hen party world and a rich understanding of the market. With his success of Butlers with Bums, his naked butlering company, he was driven to create the perfect hen experience. Dan established The Hen Fairy purely with the customer in mind and it has grown tremendously since it first started in 2014. Dan strives to continually enhance the Hen Fairy and ensures that the client receives the highest service along with the best price. Think of us like your fairy godmother, we do the hard work, so you can focus on having all the fun! With our expert knowledge and experience of the hen party industry, you can trust us to make your event an incredible one! Dan has worked in the hen industry for over 7 years and created the Hen Fairy after his success of his naked butlering company Butlers with Bums. He is determined to provide the ultimate hen weekend for the best price. In his spare time, Dan enjoys playing football, going to the gym and he also loves to take his dogs out. Roberta has been with the Hen Fairy since it first started and has watched it grow into the reputable company it is today. She is customer driven and is focused on providing a smooth booking experience. Roberta enjoys going on long walks up the Sussex downs with her scottish terrier. Hannah has worked for the Hen Fairy since it first started, she has aided in arranging all of the packages as well as building up key relationships with suppliers. She likes to hang out with her friends and has a weak spot for Italian food. Ellie has a keen interest in social media and is undertaking an apprenticeship at Butlers with Bums. She is helping to improve the Hen Fairy’s social media content as well as expand and find exciting content for the social networking sites. Ellie enjoys going out at the weekend and likes to take advantage of what Brighton’s nightlife has to offer. Oli has a wide range of experience in production and has been filming for the Hen Fairy for over a year. His short film productions display the exciting activities the company has to offer. Oli regularly goes to the gym and loves to go out for a Nandos.